Booth renter Linda Prida has created a calming escape just minutes away from the glitz and glamour of the Las Vegas Strip. 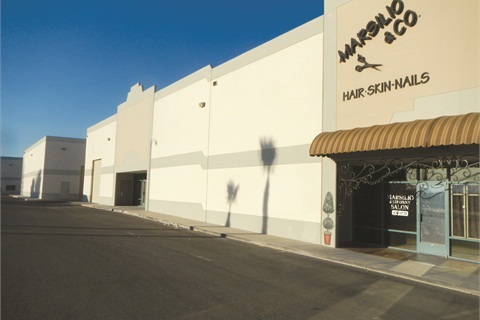 The salon, located in an industrial area about 10 minutes from the famous Las Vegas Strip, has been open for 13 years, and it boasts a large retail area in the front where purses, jewelry, scarves, and other boutique items take up space beside hair and skin care retail items. Booth renters at Marsilio & Co. receive a commission on any retail items they sell. 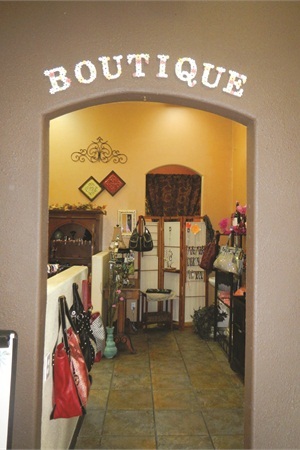 Licensed for 23 years, Prida specializes in pedicures. (She also offers natural nail manicures, but she doesn’t do any enhancements or gel-polish services.) She’s a level two reiki practitioner, and she also created a special service called Pedikarma, an ayurvedic foot rejuvenation service that is designed to balance a client’s chakras. 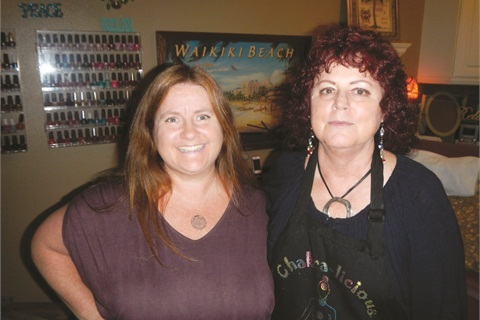 Her main pedicure service is called It’s Not Just a Pedicure, and it’s designed as an hour and half “journey.” Prida performs the service in a dimly lit room with relaxing music. 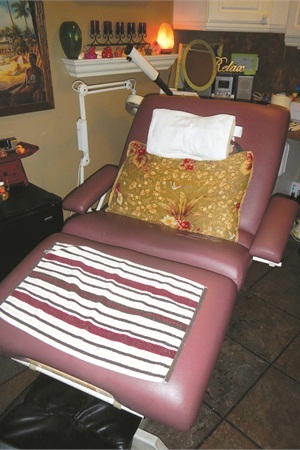 The client reclines in a facial chair, which allows Prida to work her pedicure magic at a comfortable level.